The 2017 Volkswagen Tiguan Limited is quick off the line thanks to a standard turbocharged engine that delivers 200 horsepower and 207 lb.-ft. of torque. Built-in stability systems ensure this compact SUV maintains firm traction with minimal body roll. Inside, VW makes familiar technology available with popular smartphone integration and USB plug-ins. 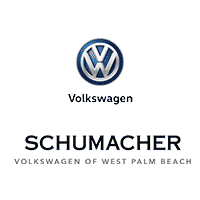 Learn more about the Tiguan Limited on a test drive in West Palm Beach, Florida.